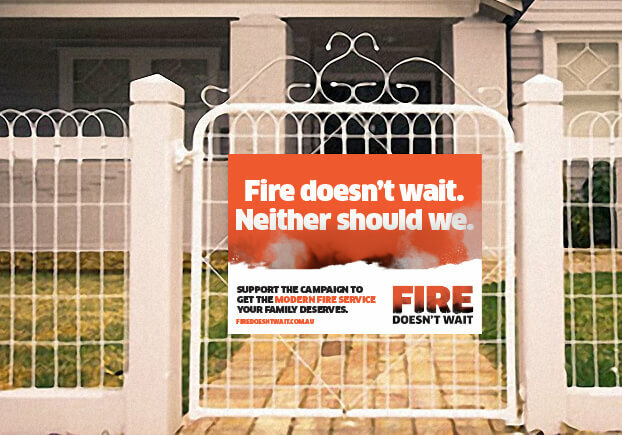 The United Firefighters Union needed a campaign to educate people that fire service boundaries haven’t changed much in over 60 years, putting lives and property at risk. 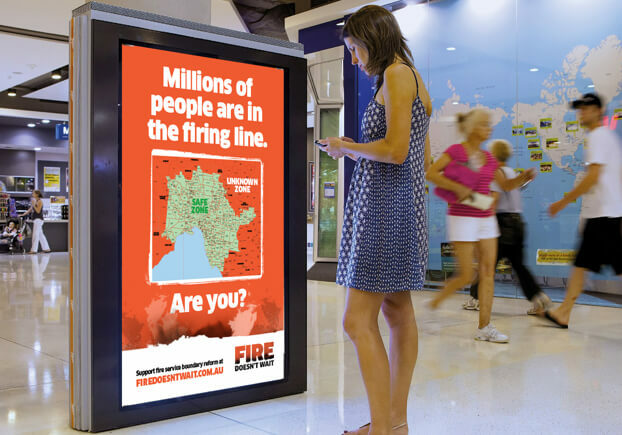 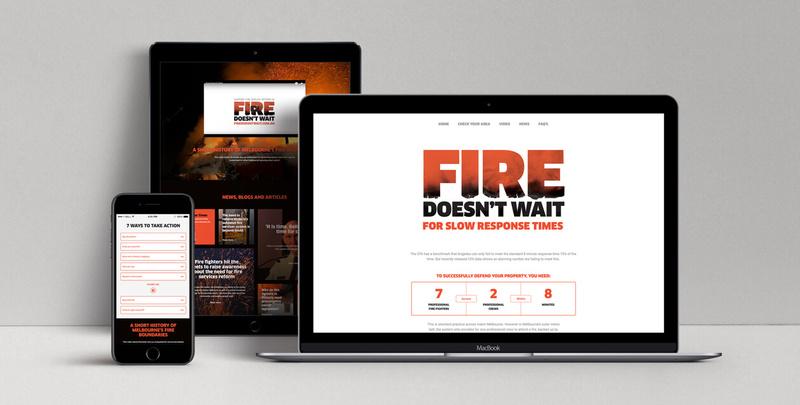 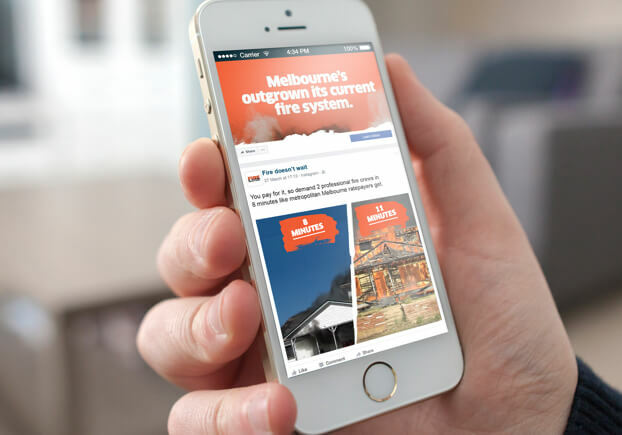 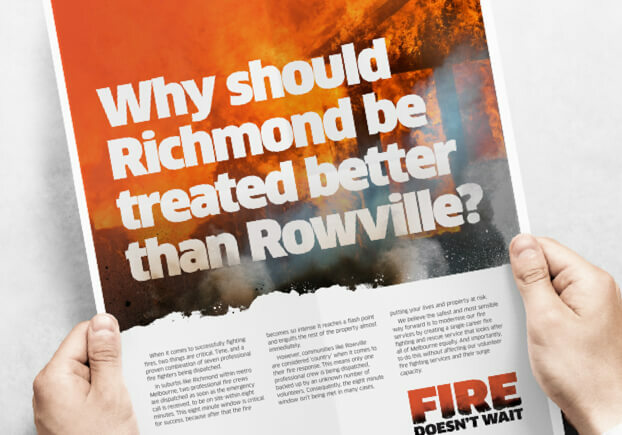 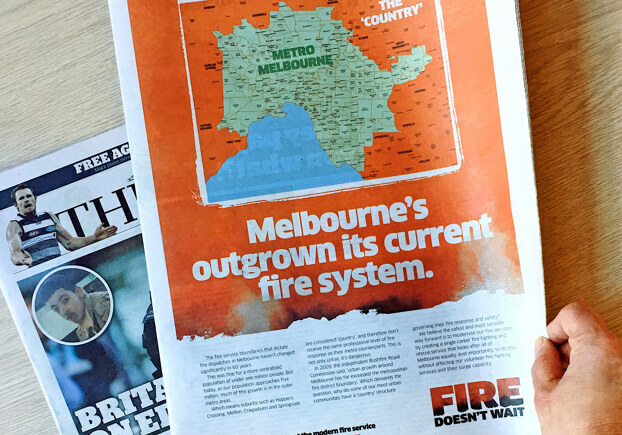 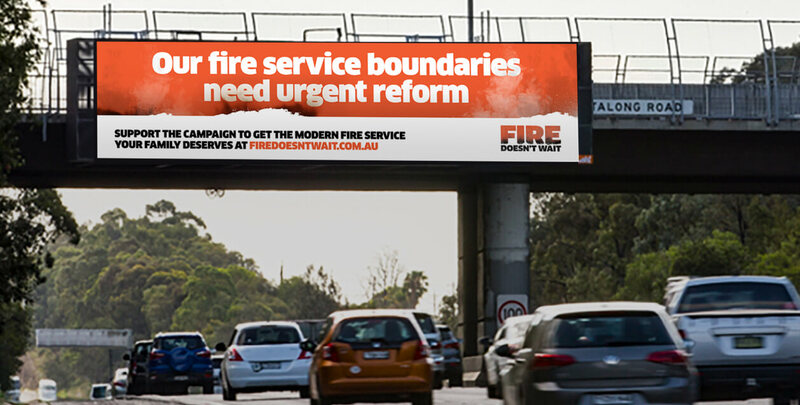 So we created a multi-channel campaign that included print, radio, outdoor, microsite, events, TVC and social media to ask members of the public to push the Government to prioritise fire reform through parliament. 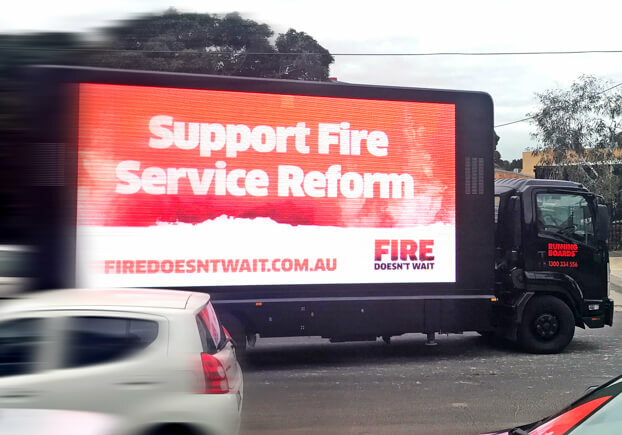 And it worked - an inquiry instigated by the Government off the back of this campaign concluded that the need for reform is critical.